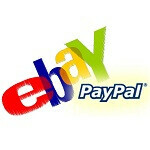 eBay along with its PayPal unit notched a 21% increase in for 2012 versus 2011, and it looks like that growth will continue. Revenue for the year topped over $14 billion. eBay mobile doubled its volume for 2012, handling $13 billion. PayPal mobile had even better performance, funneling almost $14 billion which was better than triple what it processed in 2011.
eBay is forecasting the trend to continue with mobile commerce to top $20 billion in 2013. “Mobile continues to rewrite the commerce playbook,” according to eBay CEO John Donahoe. The mobile growth continues to be spearheaded by PayPal, whose active account growth reached about 15% and has about 123 million users. The mobile growth is obviously contributing to overall growth, total payment volume (TPV) was up 24% for the year, and mobile growth, surpassed 250% year-over-year. PayPal has been received by a couple dozen major retailers, adopting offline payment solutions at over 18,000 locations in 2012. For its part, eBay mobile applications saw more than 4 million new users in 2012 which contributed to overall double-digit growth. Mr. Donahoe indicated that eBay was going to streamline the process for signing up via mobile this year. In addition, we can expect the apps to see updates which will enable the camera to read credit card information. We all know how dominant mobile is becoming, and even this one slice of the ecosystem, eBay, shows how big it is. The growth that eBay is forecasting for 2013 is very aggressive, with volume in the PayPal unit to surpass 40% this year alone. When applying that push across the ecommerce realm, everything will be mobile. Amazon and eBay are all I'll ever need for online shopping. i always use Ebay for purchases, bcoz of their lowest prices and verity of shops and quick delivery of materials here in India.. .